Turn your TV into Smart TV!! 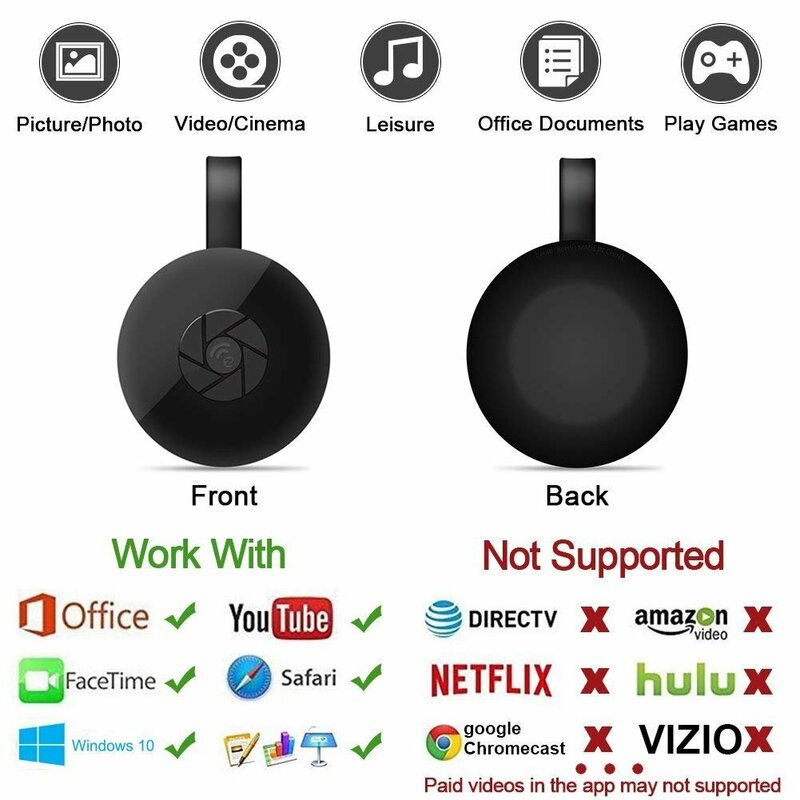 Connect your smartphone, tablet with TV easily!! Plug and Play No need to install drivers, software or apps, easy to use. 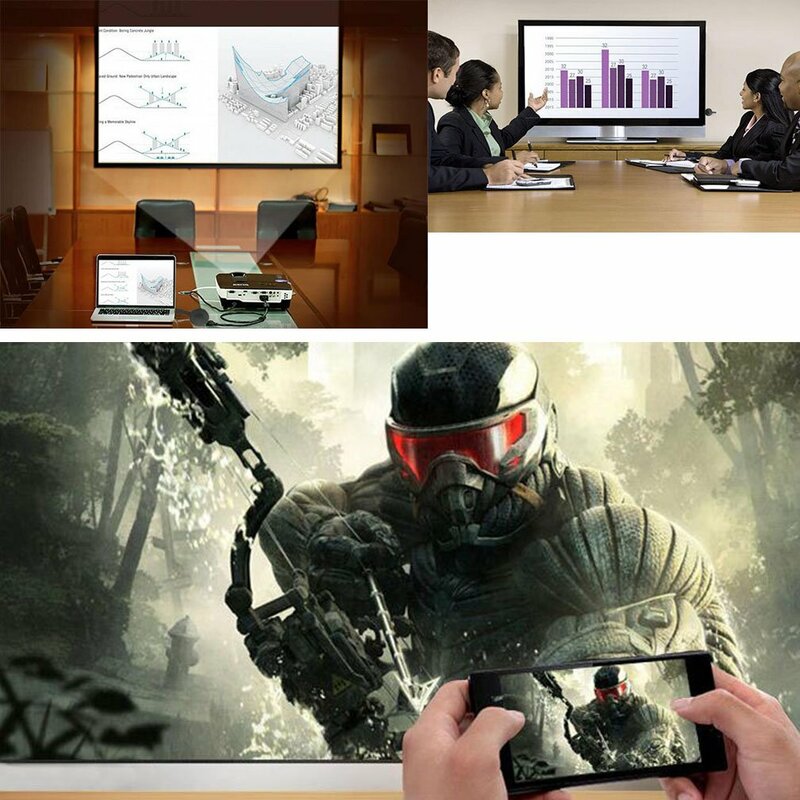 Only three steps that are required to enjoy the media files to large screen: Plug-Connect-Mirroring. With the switching button, you can choose Airplay mode or Miracast mode conveniently. 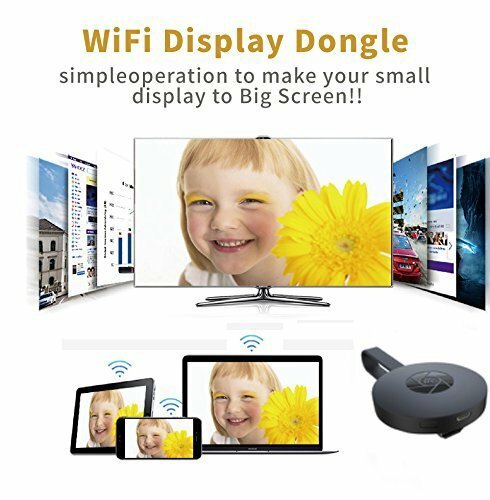 Multi-Application Wireless Display Cast your contents (Video, Game, Audio, Picture, App, and File) in your Smart Phones / Tablet PC to another big screen devices with HD interface (such as HDTV, Monitor & Projector, etc) by using Miracast, DLNA, and AirPlay through a WiFi connection. Perfectly to enjoy the ultimate big screen: Watch movies, play games, create your own exclusive cinema. 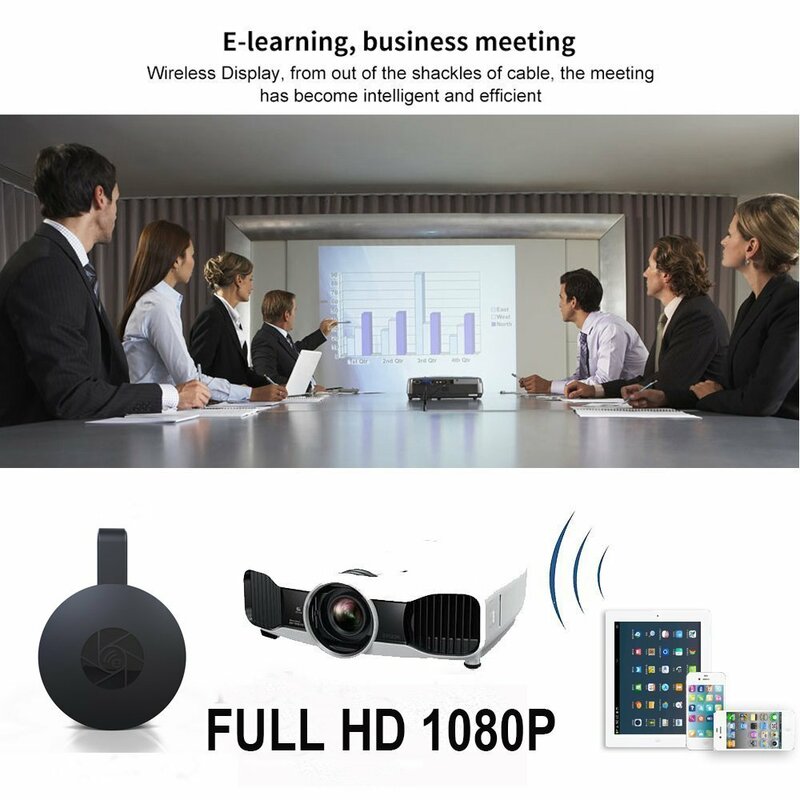 1080P HD Output Wifi wireless transmission, supports 1080P high-definition output, from your smartphone to your big tv, pc, projector, monitor, or other devices that has a HDMI port. Perfectly to enjoy the ultimate big screen: Watch movies, play games, create your own exclusive cinema. 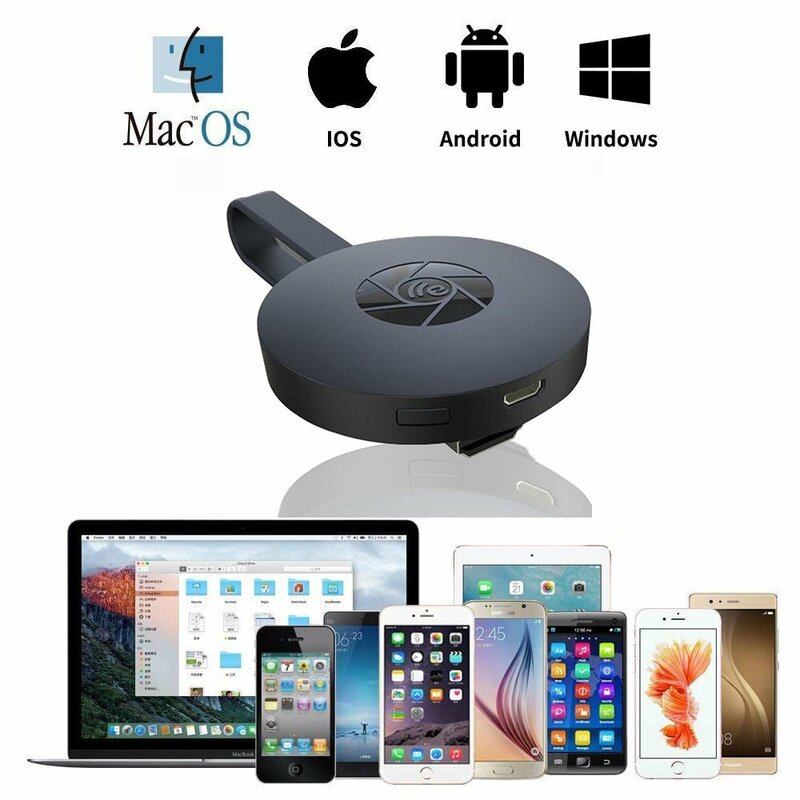 Broad compatibility - Compatible with Android 4.2, Mac OS X 10.9, iOS 7.0, Windows 8.1. 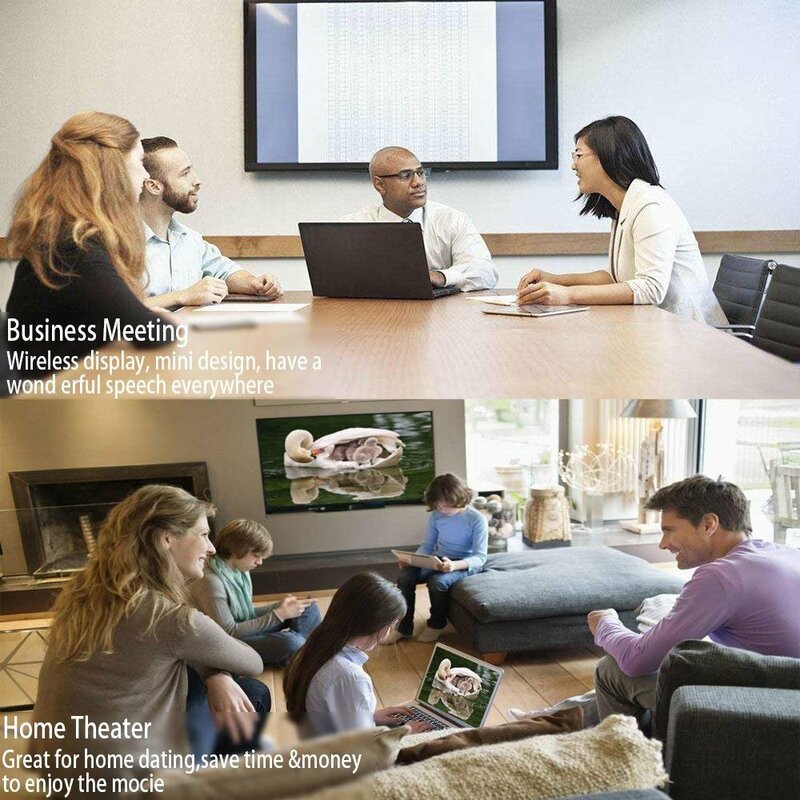 Play games or share photos and videos with your family on a big screen. Also, support multiple formats of photos, videos, and files, out of the shackles of cable.